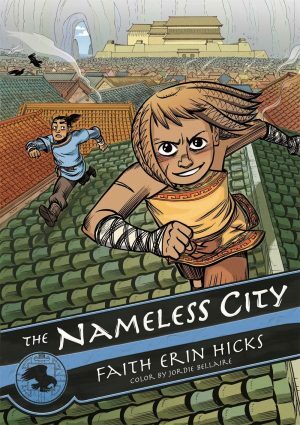 Author Philip Pullman (His Dark Materials trilogy) has long been a champion of comics, citing them as inspiration for his own love of reading and career trajectory, simultaneously lauding independent weekly comic The Phoenix as a welcome return to a new golden age in British comics. 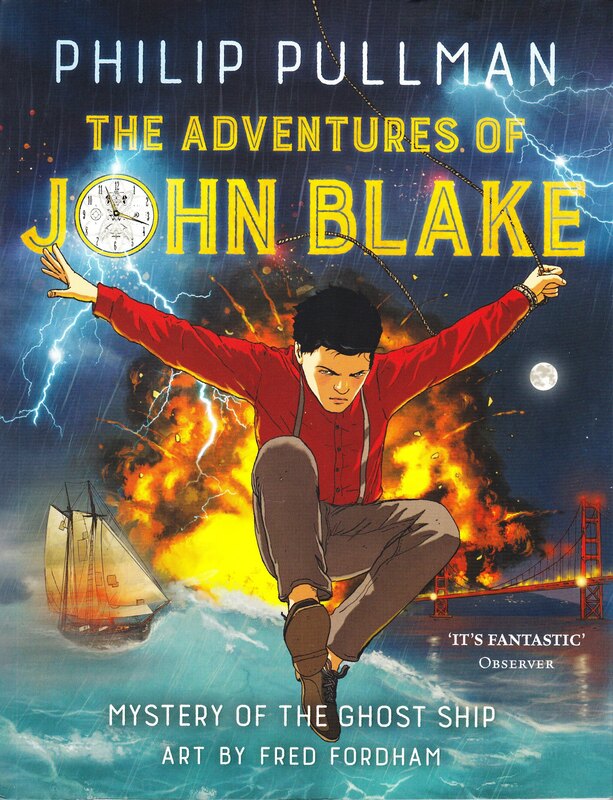 While his own work Northern Lights has received the graphic novel treatment, The Adventures of John Blake debuted in The Phoenix before being transferred to book form. 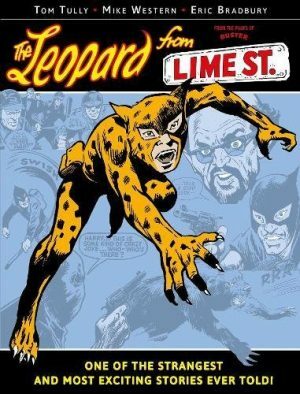 An author of Pullman’s reputation and popularity contributing to what is now the longest running independent British comic since the 1960s is something of a coup for publishers David Fickling Books, so it begs the question: is The Adventures of John Blake any good? 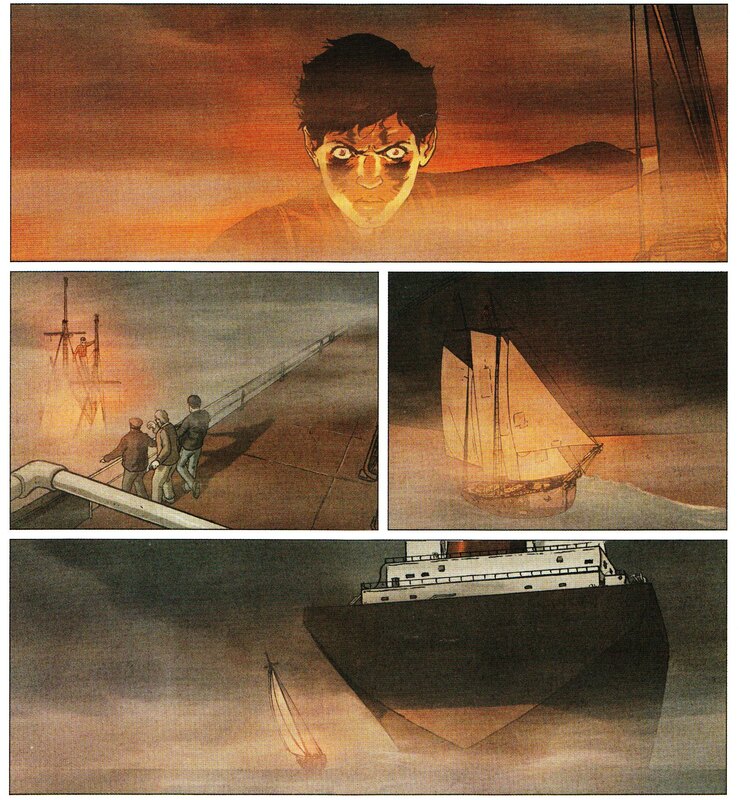 Off the coast of Somalia a tanker crew witnesses an old time schooner emerge from a sudden fog before disappearing again. At the offices of the International Marine Organisation in San Francisco, employee Danielle Quayle Reid’s investigations into sightings of the mysterious schooner, the Mary Alice, draws the attention of dangerous people. Meanwhile, near Friar’s Bridge in London, a naval operative intercepts a briefcase from the shadowy Pentagram Foundation. Why are they interested in the ghost ship? Why has the British Admiralty assigned a high priority to tracking the schooner down? What relation does she have to the Einstein-Carmichael Expedition of 1929? In the South Pacific a girl named Serena is washed overboard from her family’s yacht during a freak storm then saved from drowning by a boy named John. Now she’s on board the Mary Alice, a ship with an odd crew and a tendency to ignore the laws of space and time. She’s safe with John and his friends for the time being, but someone wants John dead and the Mary Alice sunk. Their enemy will do anything to get what they want and if they succeed, the very strands of time will unravel. Back to the earlier question: Yes. John Blake is very good. 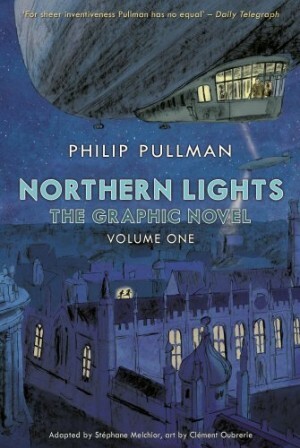 For what’s ostensibly his first time scripting a comic, Pullman writes an engaging time-travel adventure combining naval adventures with science fiction. Well paced and neatly plotted, the dialogue sparkles and interesting subplots are built through use of flashbacks. Fred Fordham sets the tension levels high with simple, but good art. He’s more French bandes dessinée than British Beano, using the environment to tell the story. He’ll use four panels a page then suddenly switch to a full page spread, an effective technique creating an eerie atmosphere that hooks you into the tale. Fordham’s nautical landscapes are his strength, his cast initially feeling a little out of proportion. Their expressions are strong and clear from the start though, and the features quickly improve to match the quality of his surroundings. Another plus is outstanding action sequences, Fordham possessing an uncanny ability to distil the essence of the ocean expanses onto the page. John Blake is fun and vividly drawn, unique in Pullman’s reversal of sci-fi and nautical tropes. Not every novelist can transfer their skills into the illustrated format, but Pullman succeeds with Fordham’s artistic style a wise match. A novelist turning to comics is no big deal in America, but for British readers it is. Snobbery about what constitutes authentic literature still exists, though barriers are being slowly dismantled. 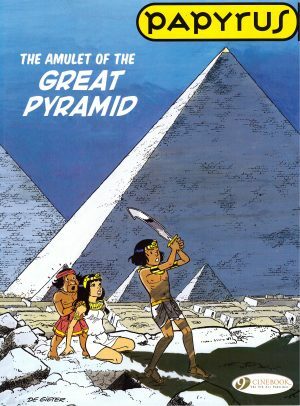 The Adventures of John Blake takes the best aspects of old adventure comics and updates them for a new generation. The Mystery of the Ghost Ship’s cracking finale suggests a sequel, yet it can easily stand alone. Here’s hoping it doesn’t.